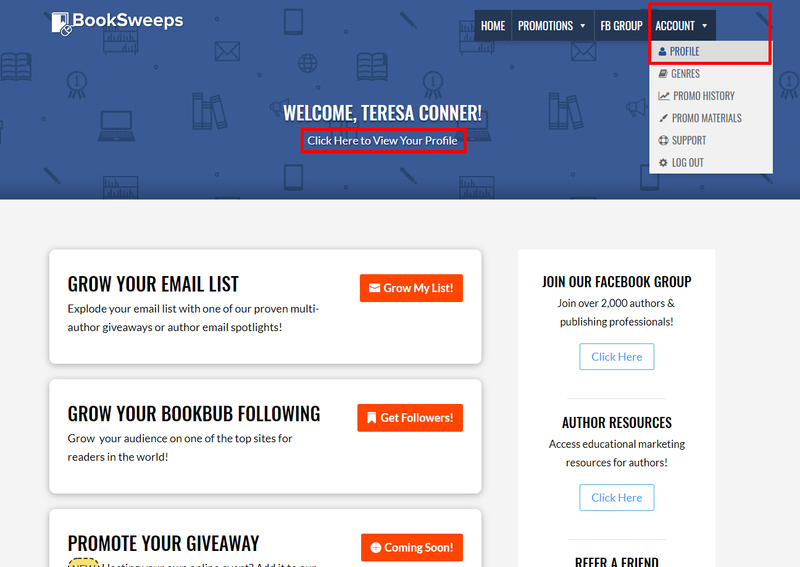 To view the promotions you're currently signed up for or have previously participated in, please log into your BookSweeps author dashboard with your email and password. Once you are logged in, navigate to the Account area of the menu. 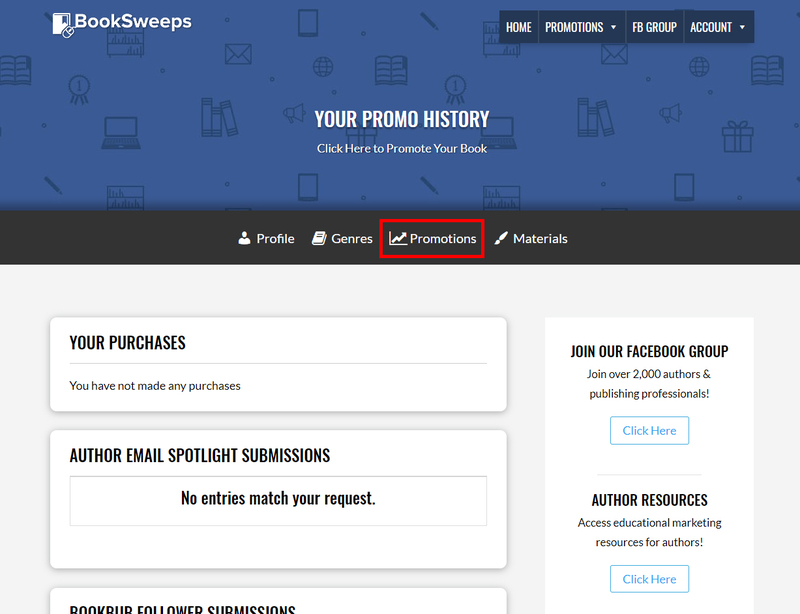 Then click the Promotions button to see your promo history. 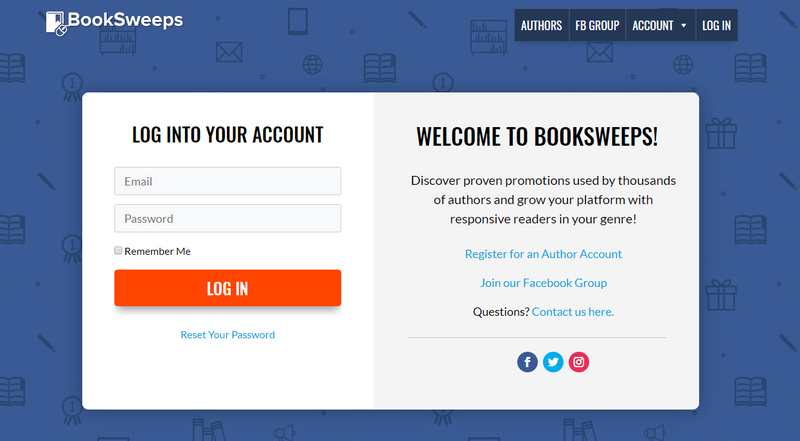 *Note: If you never received an email with BookSweeps author login information, please contact us here.